Global Training Institute specialises in providing required G3 + G7 Courses for those with experience in Mining, Quarries, Safety or those who need to gain registration as G3 or G7. You can complete the required units listed below, online with us, fast and simply using the safety and risk management systems you have already created. Results statements issued very quickly after you finish completing your Safety or Risk Management System with your Trainer. 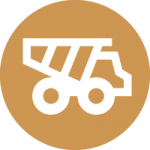 QLD coal mining legislation requires that anyone wishing to sit the Mines Inspectorate’s SSE Legislation exam must have first completed the risk management competency RIIRIS601D as the pre-requisite, which is awarded on successful completion of this course. As of 01 January 2011, the unit RIIRIS601D Establish and Maintain the risk management system (commonly known as G3) is a prerequisite competency to be appointed as a Site Senior Executive as defined in the Coal Mining Safety and Health Act 1999 and as required by the Coal Mining Safety and Health Advisory Council. The Site Senior Executive course is tailored to suit coal mine workers who wish to progress their career in the mining industry to the position of Site Senior Executive. The course is applicable to both surface and underground coal mining operations and is not limited only to persons wishing to become SSE’s. It is also suited to other professionals already working within the mining industry who wish to further their knowledge of, and who would benefit from a solid understanding of OHS & Risk Management Systems in their current roles, for example: department managers, superintendents, engineers, geologists, and health & safety professionals. QLD coal mining legislation mandates that anyone wishing to sit the Mines Inspectorate’s SSE Legislation exam must have first completed the risk management competency RIIRIS601D as the pre-requisite, which is awarded on successful completion of the SSE’s course. Have your skills and experience recognised towards this Nationally Recognised units.